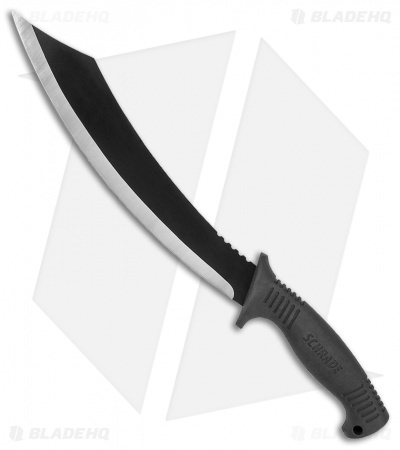 The Schrade Mach1 Machete offers a curved machete blade with a molded TPR grip. It has a stainless steel blade with a durable black finish and a satin grind. The large flat-ground blade will make light work of any chopping or hacking chores that come your way. 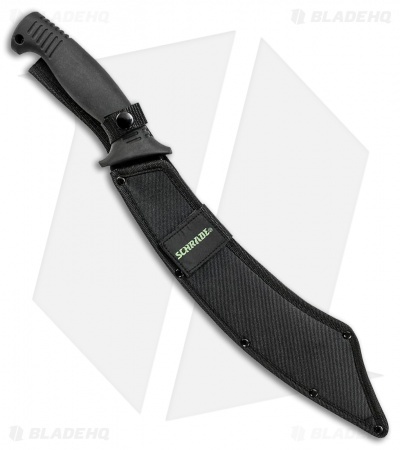 Item includes a heavy duty nylon sheath with a button clasp and a belt loop.